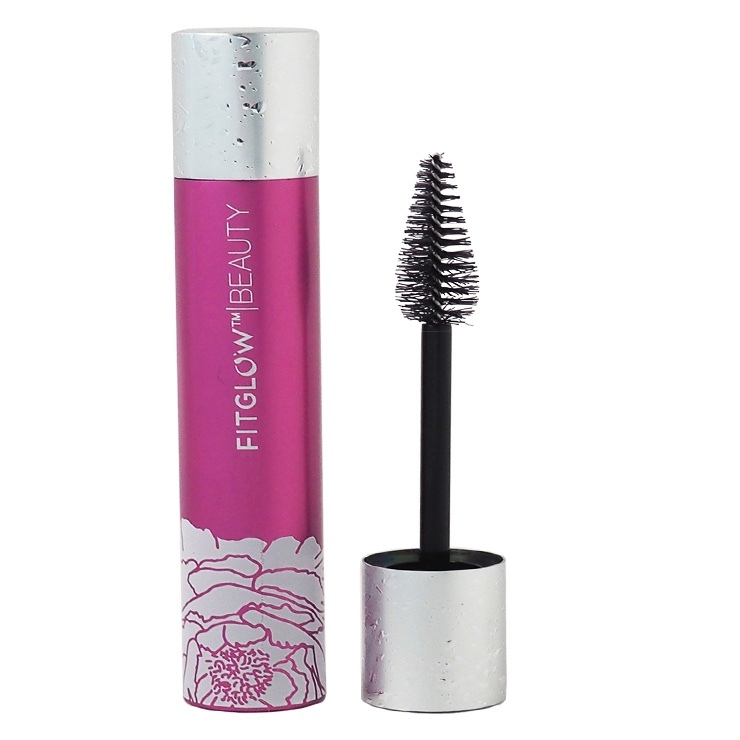 Fitglow Beauty Good Lash + Mascara is a 3-in-1 vegan mascara that adds color while making lashes look long and voluminous. Powerful botanical extracts and plant protein give a healthy, conditioned look to lashes. Used daily, lashes will look thicker, fuller, and stronger. Apply the natural vegan mascara from roots to ends of lashes, wiggling the brush while sweeping upward. Reapply as desired. Aqua, Iron Oxide (Ci 77499), Euphorbia Cerifera (Candellila) Wax*, Copernicia Cerifera (Carnauba Wax)*, Oryza Sativa (Rice) Bran Wax*, Vegetable Collagen, Myrica Pubescens Fruit Wax*, Stearic Acid (Cocoa Source), Equisetum Arvense (Horsetail Plant) Extract*, Olea Europaea (Olive) Oil*, Sorbitan Sesquioleate, Propanediol / Pentylene Glycol / Phenethyl Alcohol (Non Gmo Sugar Source), Hydrolyzed (Lupine) Plant Protein. Not sure what all the hype was about? Maybe they weren't being very honest because it's very dry and difficult to put on (like really!) and I only get a slight minimal lift and 5 mins later my under eye is black from the mascara and just an overall crumbly look on the lashes not smooth. I thought it was going to be amazing so I was excited to try it. Now I just feel like throwing it away...no way is having dark under eye due to your mascara, flattering in any way! And to top it off it doesn't even clean off easily and sometimes I'm at work and it just isn't the best! It is a little different than other mascaras. Applying plenty at first application is imparitive. Adding more after it dries will make it flaky. But removing it is easy with water. Definitely adds length and my lashes seem to have less breakage. I had high hopes for this mascara but it didn't work for me. The brush is HUGE! I always end up hitting my eyelid with it. The product travels down my lower eyelid mid day. Big bust for me. Is it supposed to be so DRY? When I opened the tube, I noticed that some of the bristles were stuck together so i knew that was a bad sign. It took so many swipes to get a small amount of coverage. Within a few hours it was already flaking and smudging all over. What a bummer. The wand comes out of the container a gloppy mess. It's impossible to put on without gobs on your lashes. I tried wiping off the excess with a towel but it still didn't work. Not happy at all! If I had paid full price I would have screamed.